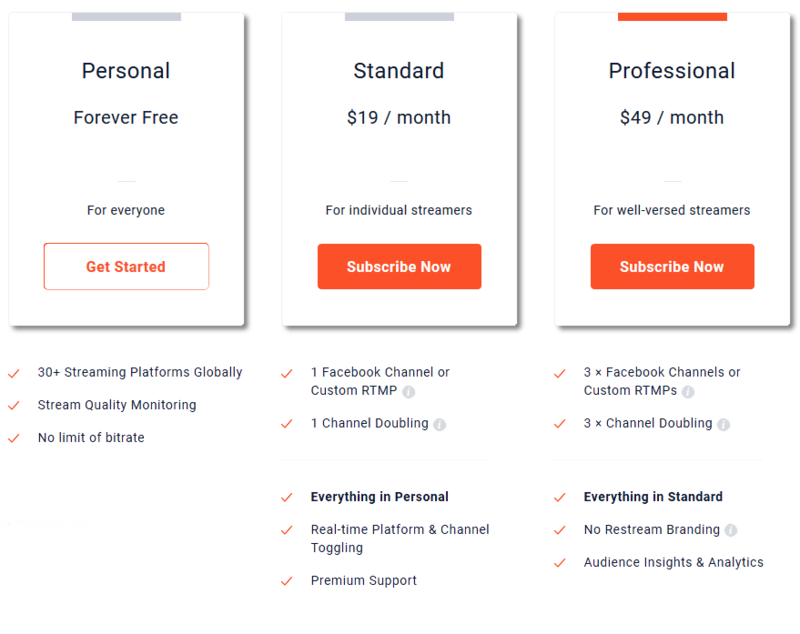 Does it cost money to use Restream? Yes and no, while we offer most of our services for free - there are a couple features that you'll need a subscription to use. With Restream, you can stream to any one of our 30+ support platforms for free all at once without limitation. However, we do have a couple of extra features that you'll need a subscription to use. To view more information about our subscription plans click the button below or head over to the Billing section of our Help center.